All you get when you hit the “download now” button on the Mozilla website to download a copy of the Firefox web browser is a stub or net installer. The stub installer has advantages and disadvantages over full or offline Firefox installers. 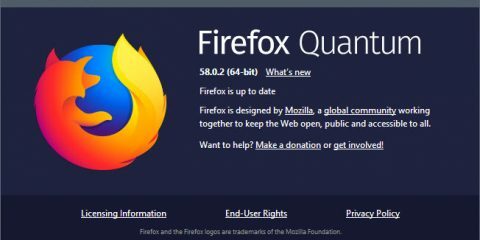 Unlike the offline installer, which always installs the version of Firefox that you downloaded, stub installers query Mozilla during installation so that the latest version of Firefox is downloaded and installed. 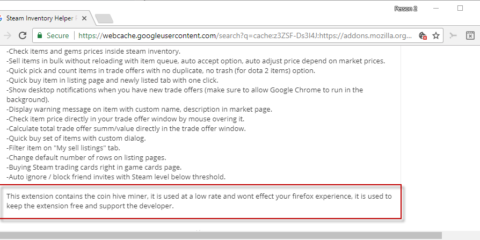 In other words, users will get the latest version of Firefox when they run the installer and they may re-use it. The main downside is that setup requires an active Internet connection, and that the latest version of Firefox is downloaded and installed. While users want the latest version usually, older versions may sometimes be required, for instance when the latest version causes issues on a system. You can use full Firefox downloads to install Firefox on systems without Internet connection, or for distribution purposes if you want to install it on multiple systems. With the web installer, you would have to download the browser multiple times (for each system once) which may waste a lot of bandwidth and time. You have two official options to download offline versions of the Firefox web browser to your system. 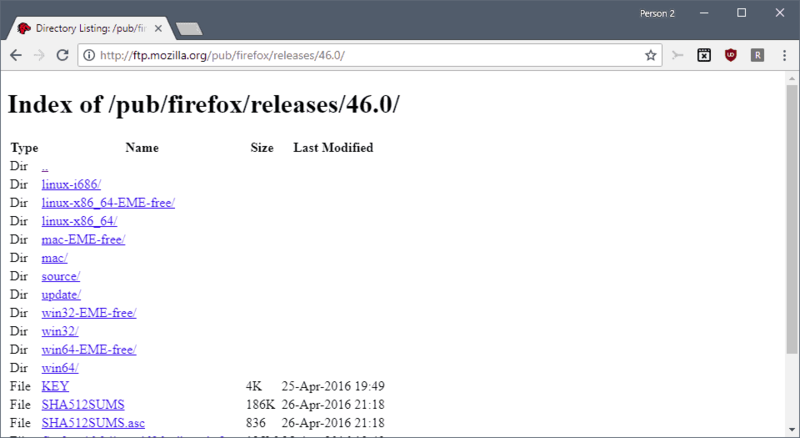 You can download offline versions of Firefox from the Mozilla website or from the FTP server. Both let you download Firefox for all supported operating systems, architectures, and languages. The core difference between the two options is that you can download any version of Firefox from the FTP server but not from the website. So, if you always wanted to check out Firefox 0.10, Firefox 4.0, or Firefox 25.0, now is your chance to do so. All download pages use the same layout. You find the languages that Firefox is available in listed in alphabetically order. Just scroll down to the language that you want to download Firefox in and click on one of the available icons to download the version for Windows (32-bit or 64-bit), Mac OS X (64-bit), or Linux (32-bit or 64-bit). 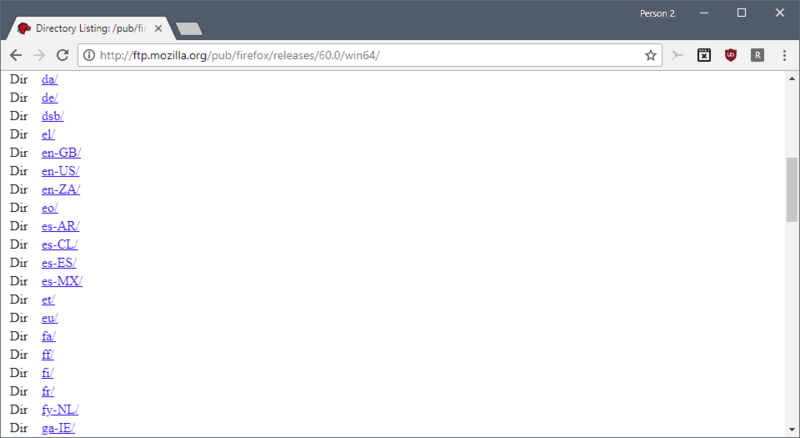 This opens a directory with links to all Firefox releases starting with Firefox 0.10 to the very latest release. 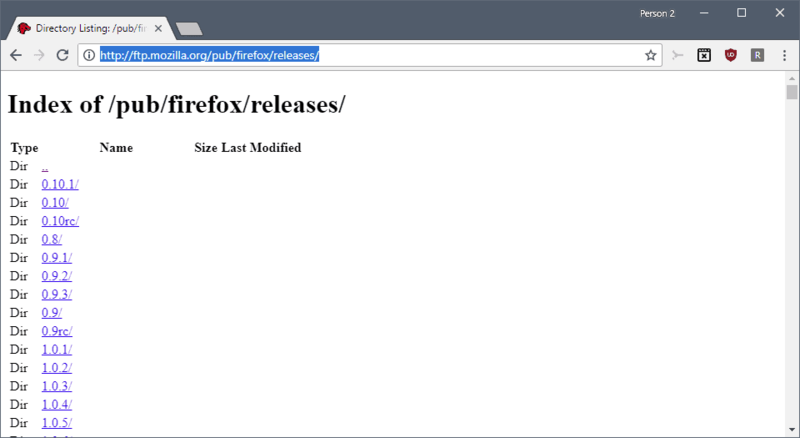 You can use the directory to download the latest release version of Firefox to your system but also any previous stable release of the web browser. 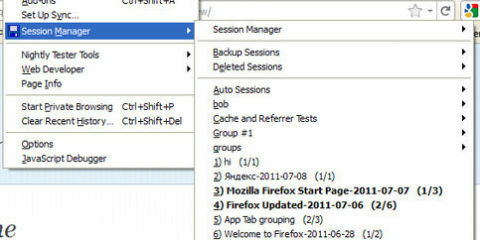 A click on one of the operating system directory links opens all localized versions of Firefox for the selected Firefox version and operating system. 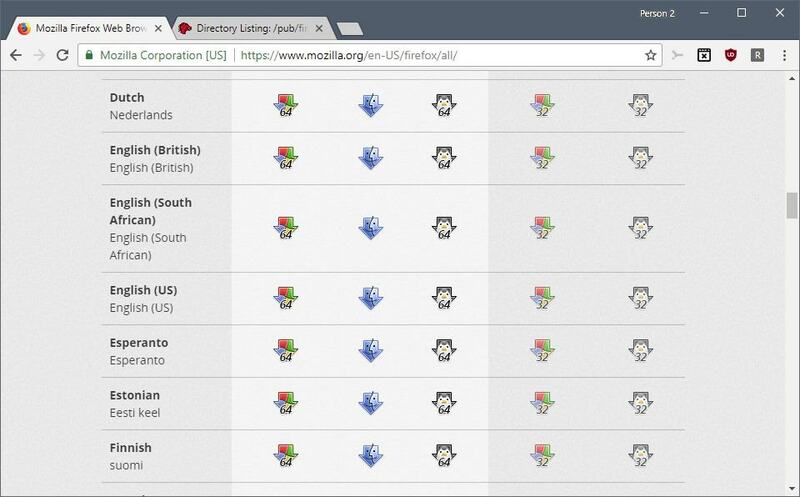 Mozilla uses language and country codes to list available versions. The codes en-us, pt-BR, and hu, for example, refer to English-United States, Portuguese Brazil, Hungary. While a country’s domain extension is used usually by Mozilla, it is not the case all the time. The final page lists the download link and the size of the download. Tip: You can modify the URL of the download page easily to jump directly to specific releases. 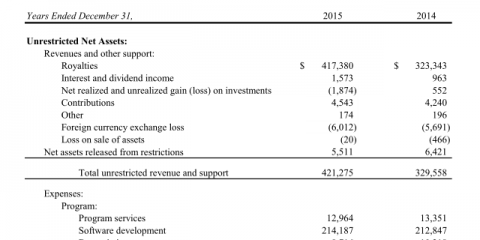 The URL structure is http://ftp.mozilla.org/pub/firefox/releases/60.0/win64/en-US/. While you can download full versions of the Firefox web browser from third-party download portals as well, there is no need to do so unless you want to download a portable version of Firefox. Mozilla pushes the stub installer on its website and it may be the better solution for most users interested in downloading the web browser and for Mozilla. Users who prefer to download the full version of Firefox instead can do so as well and as long as the option is provided, there is nothing wrong with offering a stub downloaded by default. Now You: Which version of Firefox do you download, and why? Ghacks needs you. You can find out how to support us here or support the site directly by becoming a Patreon. Thank you for being a Ghacks reader. The post How to download Firefox offline installers appeared first on gHacks Technology News.